SEOUL, South Korea (AP) — U.S. and South Korean defense officials formally suspended a major joint military exercise in hopes of advancing nuclear negotiations with North Korea. It’s a bold gamble that could trigger a serious security crisis if the talks falter and the allies are forced to resume the drills, infuriating North Korea, analysts say. The cancellation, abruptly decided by President Donald Trump at his summit last week with North Korean leader Kim Jong Un, was formally announced by the Pentagon on Monday. South Korea’s Defense Ministry simultaneously confirmed the suspension of the Ulchi Freedom Guardian exercises, consisting largely of computer-simulated war games. In announcing his decision, Trump said suspending the “provocative” war games would “save us a tremendous amount of money.” The decision, which apparently came without consultations with South Korea or the Pentagon, surprised many in South Korea and the United States who believe the training is a central pillar of their countries’ seven-decade military alliance dating back to the 1950-53 Korean War. South Korean military commentator Lee Illwoo described the halt as “temporarily pulling off the wheels of the alliance.” Other experts agree that the suspension will weaken, at least temporarily, the allies’ defense posture against North Korea and open gaps in their combined deterrence. Seoul and Washington describe the move as a temporary measure to prolong ongoing detente on the Korean Peninsula and increase the chances of successful nuclear diplomacy with North Korea. But if North Korea doesn’t reciprocate by taking serious steps toward denuclearization, the allies would be compelled to resume the drills, and that would certainly draw a furious response from North Korea, which views the exercises as rehearsals for an invasion, experts say. “Suspending drills once is dangerous because it causes a hole in our national security. But resuming suspended drills would cause a bigger security crisis because more extreme resistance from North Korea would come,” Lee said. Experts say South Korea and the United States need to hold regular drills to prepare their commanders, who change periodically, to work together smoothly in crisis situations and respond to North Korea’s evolving military threats and other factors such as changes in the deployment of U.S. strategic assets. “It’s hard to deny that the security gap problem would exist and the allies must be prepared to snap the drills back on if the North doesn’t make genuine steps toward denuclearization,” said Yeol Soo Kim, a senior analyst from South Korea’s Korea Institute for Military Affairs. 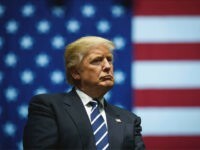 The drill’s suspension is likely the only concession that Trump could provide to Kim at a time when the North Korean leader has remained vague about his pledge to work toward the “complete denuclearization of the Korean Peninsula.” Other rewards that North Korea wants are an easing of international sanctions, establishment of diplomatic ties with the United States, and a reduction of U.S. troops in South Korea. Those are bigger concessions that are unlikely to be granted by the U.S. without concrete steps by North Korea toward denuclearization. “Trump has not many (negotiating) cards now,” said Yang Uk of the Korea Defense and Security Forum. The drill’s suspension would have been unthinkable last year, when North Korea sharply raised animosity with a torrid run of nuclear and long-range missile tests that put the country closer to acquiring a nuclear arsenal capable of targeting the U.S. mainland. Still, the U.S.-initiated decision to shelve the drills isn’t likely to dramatically change the psyche of South Koreans who have spent their entire lives facing North Korean threats and living through wild swings in inter-Korean relations. Even last year, few South Koreans publicly displayed security jitters, and civil defense drills were generally lax. That contrasted with 20-30 years ago, when South Koreans rushed to stores to stock up on instant noodles and other provisions when North Korea threated to turn Seoul into a “sea of fire” and ratcheted up tensions. 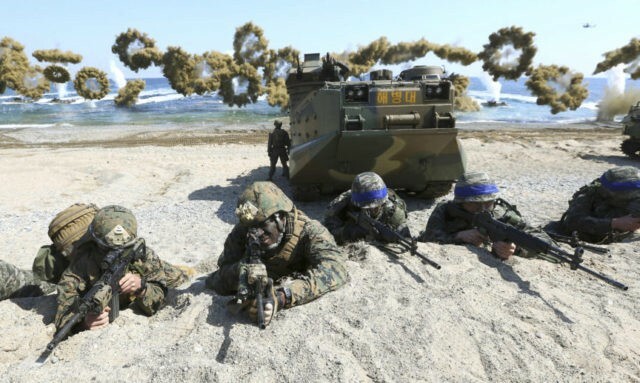 It’s not the first time that the U.S. and South Korea have halted military drills in an attempt to ease tensions with North Korea and persuade it to give up its nuclear weapons.